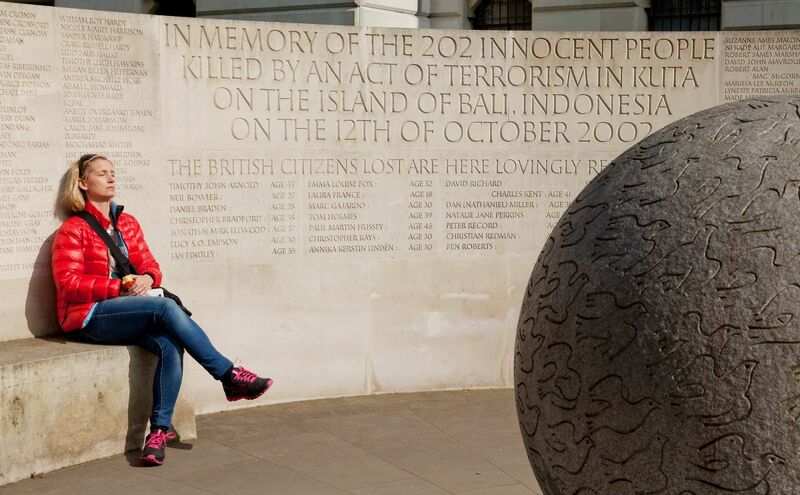 The Bali Memorial commemorates the 202 victims of the Bali bombings in 2002. 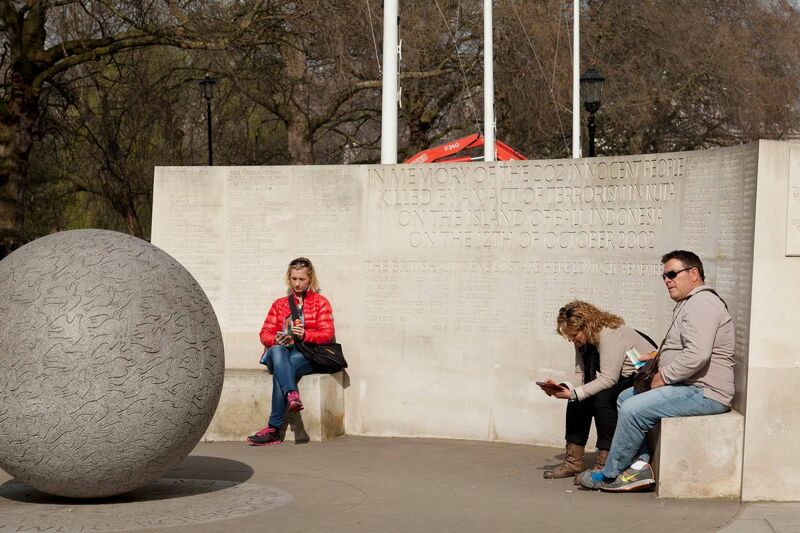 It is located at Clive Steps, along Horse Guards Road. Unveiled in 2006, by the Prince of Wales and Duchess of Cornwall, this marble globe has 202 carved doves with the names of the victims carved into a stone wall behind the globe. 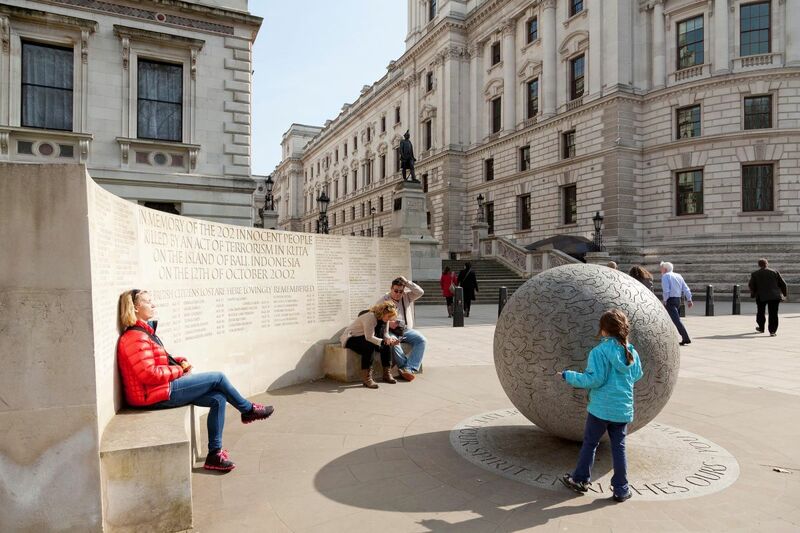 It was designed by Garry Breeze and sculpted by Martin Cook. Eighty-eight Australians were among those killed and victims also came from Indonesia, Germany, Switzerland, Portugal, Italy, Poland, Greece, the US and Japan.